Promote Bike to School Day! May 22 – Tuesday – Schools & Kids Day! Students – Log your Commute/Ride! This year, individual classrooms, rather than entire schools, are encouraged to participate. Prizes for the top 3 classes. Classes need to be pre-registered by Friday, May 18th. Individual student can log in every day to win prizes – all week long! FBO encourages parents, teachers, and administrators to support and encourage (or accompany) students to bike to school more. 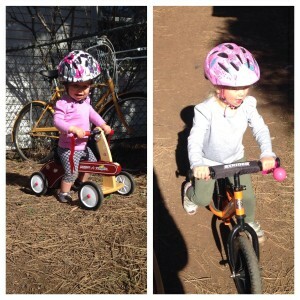 We celebrate our younger bike commuters on this day. Childhood obesity is a serious problem in our society and biking to school can play a large role in establishing healthy life-long habits to make our children and our community healthier. It’s also fun, feels great, and can be valuable family time. Join us for an evening of Family Fun! Kidical Mass Bike Ride at 4pm, Ride leaves at 4:15pm – Starts at the corner of Thorpe Rd and Bonito St. All kids under 18 must wear a helmet. All riders are welcome! Ice Cream Social, Kid Bike Games, Iron-on Transfer Station & Crafts starting at 5:00 – 7:00pm – We will host this event in the Flagstaff Junior Academy parking lot – corner of Thorpe Rd and Bonito St.
We’ll have ice cream, toppings and a variety of sweet treats. Come participate in assorted bike games. Challenge your bike skills! Event sponsored by Safe Kids – Coconino County and Joy Cone. Fratelli’s Pizza Food Truck will be onsite for your dinner options! As of January 1, 2010, the City of Flagstaff has adopted a mandatory helmet ordinance for children under the age of 18 riding bicycles. Follow this link for information on the ordinance, including background information and frequently asked questions.